1984 marked the membership of what I consider to be the most successfully integrated of all the “replacement members" – She-Hulk. 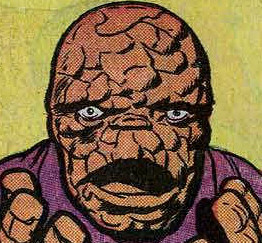 Initiated because John was given the task of launching the Thing’s own book and saw no reason to justify solo Thing stories otherwise, Ben is left behind on the world of the Secret Wars (see “Media" for capsule review) and the Hulk's cousin takes his place. While justly remembered for the plotline of Sue’s miscarriage, most of what surrounds this story isn’t such a first-rate year. The Thing’s final story for thirty-two issues (barring two cameos) is a two-part shaggy dog story that sees Ben and Johnny square up to some Disney rejects, as well as some ludicrous science. Talking of science, literary SF author Larry Niven is the credited science advisor for the dense text ramblings of #269. 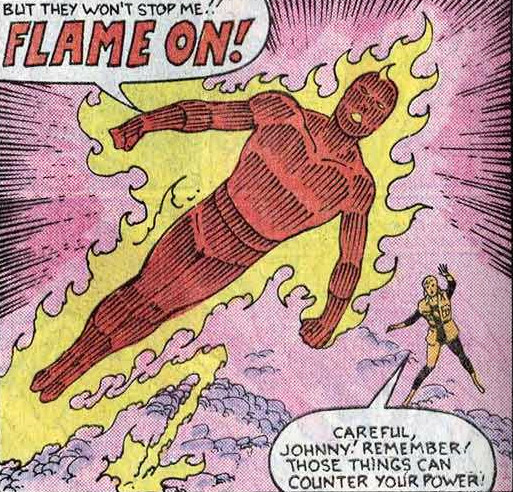 In fact, the two-parter that continues into #270 contains some of John’s weakest writing from the run, seeing characters reiterating plot points at one another consistently (is Alicia really the world’s most boring conversationalist or does the issue see her stuck in a time loop repeating to Johnny stuff she’s already said previously?) and being ground down by Marvel’s then-editorial policy to cram in a plug for Secret Wars every single issue without fail. Also far too full of whimsy is the story of Karisma. A woman who uses the power of make-up to control men’s minds after being a researcher at the Gaylord Cosmetic Corporation (Yes, really) it's told in flashback to the She-Hulk. In all of this the Annual had been left somewhat by the wayside, plotted by John but scripted by Mark Gruenwald and illustrated by Mark Bright/Mike Gustovich. Readers were blessed by the annuals during the Byrne years because for the first time the primary creative talents on the regular book were behind them. Stan Lee never got Joe Sinnott within an inch of the extra-length specials, but John did the lot for 1983. ’82 went without an annual, and the first and last year of John’s tenure were covered by others, but for two occasions a full creative team had taken interest in the annuals, with Sinnott guest-inking John's work for '85. 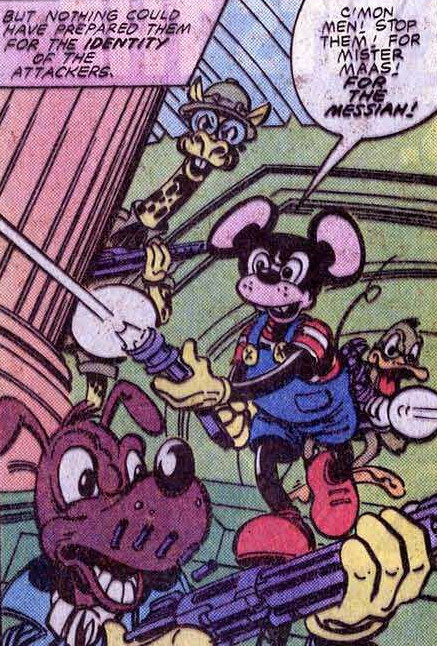 Yet that wasn't to be here, and John’s artwork also sadly dropped a notch or two with the run – from July onwards the increasing usage of plain coloured backgrounds can be witnessed, a far cry from his usual detailed, Kirby-style designs. Exploring the web brings up a lot of detractions from John's art (and, in fairness, a lot of support), with the "minimalistic" charges usually at the forefront. While the decline was alleged to have set in more after he left The Fantastic Four, there is evidence of it here. Another criticism that comes up regularly is one of John's inking - the artist himself confessed to using felt tips for some of the work, which apparently looks subpar for glossy reprints. However, for the 80s comics (and the paper quality is quite poor) then it was more than good enough in this sites' opinion. Trivia? The cover to #264 is famously a homage to the very first issue of the Fantastic Four, only this time with just Ben and Johnny, while #271 imagines a pre-Fantastic Four Fantastic Four up against one of the type of horror monsters that used to feature in Timely comics. The same issue also features a new hairstyle for Sue, a horrible masculine 80s frizz-mullet that’s dated even more horribly than the bob she sported at the start of the Byrne run. Kerry Gamill is guest penciller for the majority of #266 and John himself did the lettering on #273… badly. Naturally the all-encompassing Secret Wars (***) plays a large part in this run, along with The Thing #10 and The Uncanny X-Men #167. A wider look at Secret Wars can be found under the "Other Titles" category.